Sometimes a problem is fleeting but more often a pattern of problems emerge that happen again and again, leaving us frustrated, unfulfilled and disillusioned. Whether your problems have followed you around for years or have only began to bug you more recently, we can help. 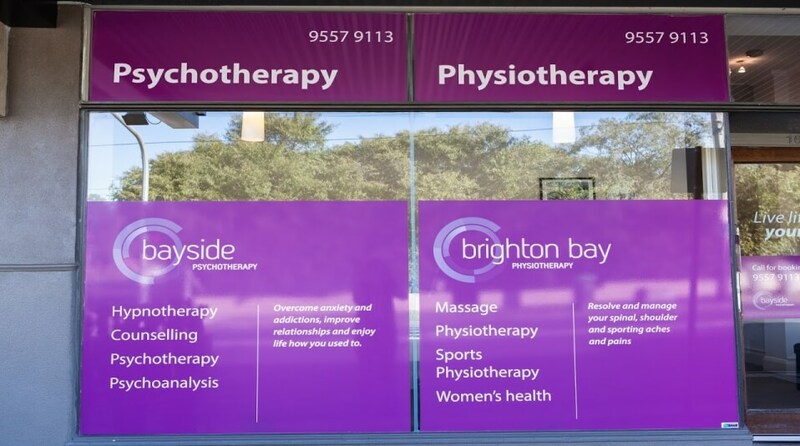 The therapists at Bayside Psychotherapy in Melbourne are qualified in a wide range of counselling methods including Buddhist psychology, mindfulness therapy, client centred therapy, insight-oriented psychotherapy, hypnotherapy, NLP, cognitive behaviour therapy, psychoanalytic and psychodynamic theory. We don’t categorise you, label you or apply textbook therapy. You are a unique individual in your own right. In every session at Bayside Psychotherapy, you get the benefit of our holistic approach with our therapists drawing on a blend of therapies from the East and West to help you get back to a positive place in your life. Call us on (03) 9557 9113 or use our contact form to book a consultation. Hypnotherapy and NLP therapy can help you look inwards to your unconscious mind so you can develop the strategies you need to move forward in your life. Couple counselling can help transform your relationship by unearthing unconscious conflicts which both parties carry, often without knowing it. Such relationship templates often form during childhood with little if any conscious choice. Small wonder why we have such a high divorce rate. Apart from traditional therapy, our centre also offers a unique self help program which involves hypnosis downloads. You can download a wide range of self hypnosis programs from our website, these programs cover a very comprehensive field of conditions; phobias, with a choice from a larger general bundle or directed at specific phobias like social anxiety, fear of heights and fear of needles. Addictions like cannabis smoking, gambling addiction or food addiction. Other self help programs include compulsions like lying or nail biting. Sexual dysfunctions and other conditions like depression or assistance with coping with grief and loss. The first step can often be the hardest but booking one of these psychotherapy services is easy. Simply call us on (03) 9557 9113 or use our contact form to book a consultation.